This Kiwi Can Fly: "I adore war"
"I adore war. It is like a big picnic but without the objectivelessness of a picnic." He and his brother were both killed in 1915. From Ghent I cut back to the south-west. 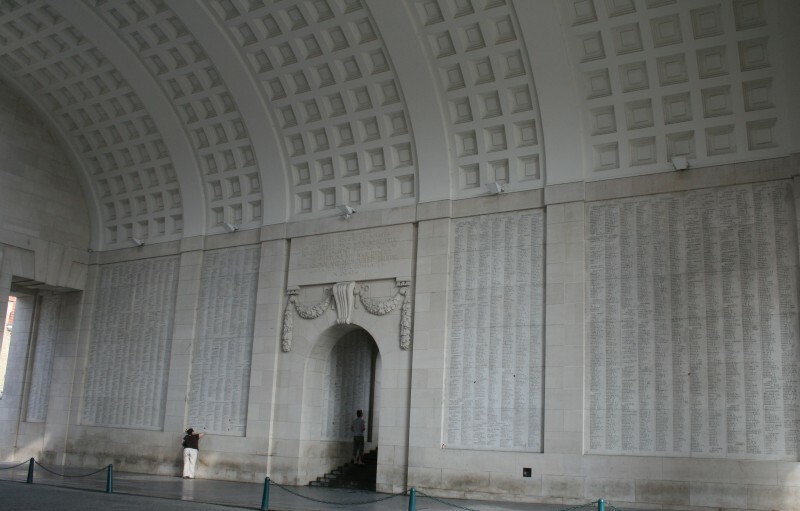 It made my route a bit of a mess, but I was determined to visit Ypres (now called Ieper). It was a long ride, and when I saw a thermometer in the afternoon, it was at 29C. I got more lost than usual on this one, but made it there in the end. 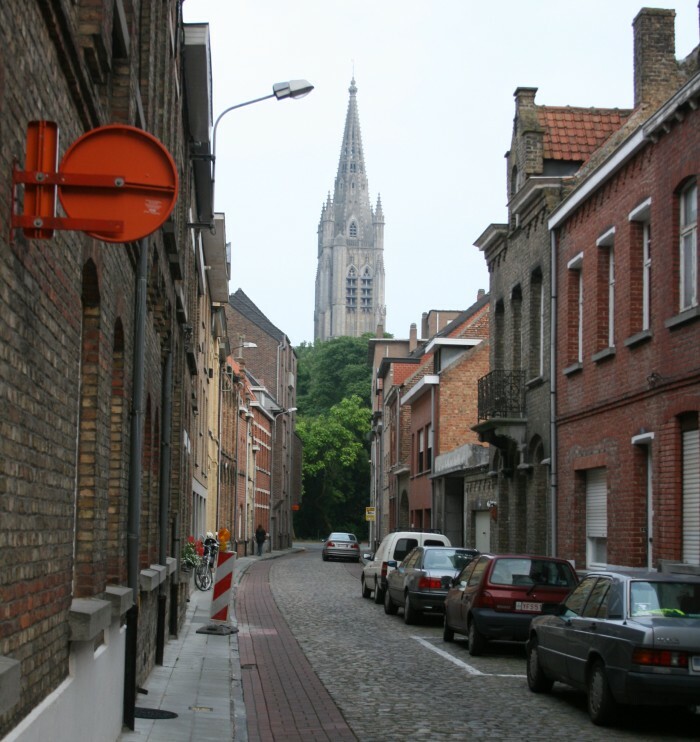 As a town, Ypres's actually rather modern and bland. But perhaps that juxtaposition adds to the impact. 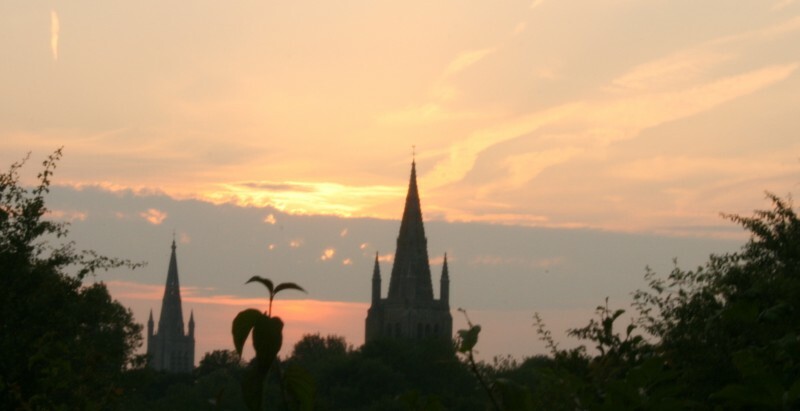 It is the history of the town that is mindboggling. Firstly, I didn't know what a salient was, so I'll just explain. It's an area in a warzone frontline that sticks out into enemy territory so the enemy can fire across it from 3 sides. Militarily, it's not a great position to be in. Ypres is also slightly lower than the surrounding land, giving the attacker the high ground. It was one of the most heavily fought over areas on the Western Front. There were 3 major battles here, and Ypres kind-of serves as an illustration of the development of warfare during the first world war. The town itself was wiped off the map. At the start of the war, outnumbered Belgian soldiers with dog carts and wearing top hats tried to hold back the Germans. In the early days, the townfolk would stand on the village walls to watch the fighting. The Belgians were replaced by English and French soldiers. At this stage there was still horse cavalry, no-one had a metal helmet, and some of the French wore metal breastplates and had bayonets dating from the 1789 revolution. By the end of the War, there were poison gas attacks, tanks, and soldiers were running at concrete bunkers defended with barbed wire and machine guns. It's basically the ultimate example of the futility of war. About half a million men died in that small area. One aerial photo showing an area of a square mile shows 1 million shell holes. By 1917, the British forces were becoming depleted, so New Zealand troops were involved in the third Battle (Passchendaele); the largest. By this time, the whole area was just a mess of mud and barbed wire. One New Zealand and 4 Australian divisions attacked the Passchendaele ridge. "There was not a sign of life of any sort. Not a tree, save for a few dead stumps which looked strange in the moonlight. Not a bird, not even a rat or a blade of grass... The earth had been churned and re-churned. It was simply a soft, sloppy mess into which you sank up to the neck if you slipped from the duck board tracks - and the enemy had the range of those slippery ways...It is not possible to set down the things that could be written of the Salient. They would haunt your dreams." As a country, we see Gallipoli as our formative conflict, but we lost far more men here than at Gallipoli. At Ypres, nearly 2 percent of New Zealand's entire population were casualties, and half of our fatalities were in one 4 hour period. Quotes from soldiers say that the mud quagmire was more likely to kill them than the enemy. The Australians took a serious beating too, and the 2 groups were eventually replaced by Canadian soldiers, who took 75% casualties before finally taking the town of Passchendaele after 100 days. Then General Haig decided he didn't want it and pulled them back. 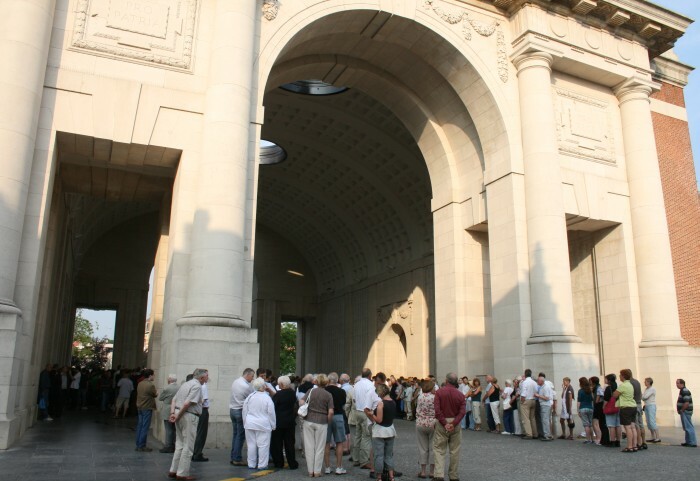 When I arrived in town, it was 7:45, and I rode around trying to get my bearings before stumbling on the Menin Gate. The Last Post is played every evening at 8pm at the Gate, so I stayed to watch that. It was moving, but the crowd was so big it was impossible to see anything. Lonely Planet says the locals still pay respect, but the night I was there the locals drove past with their car windows down playing techno music loudly. Most of the soldiers who fought walked through the Gate to get to battle, so it stands as a memorial to those who were lost and never recovered. Up those stairs are galleries holding more names. They added 54,000 names before running out of space. 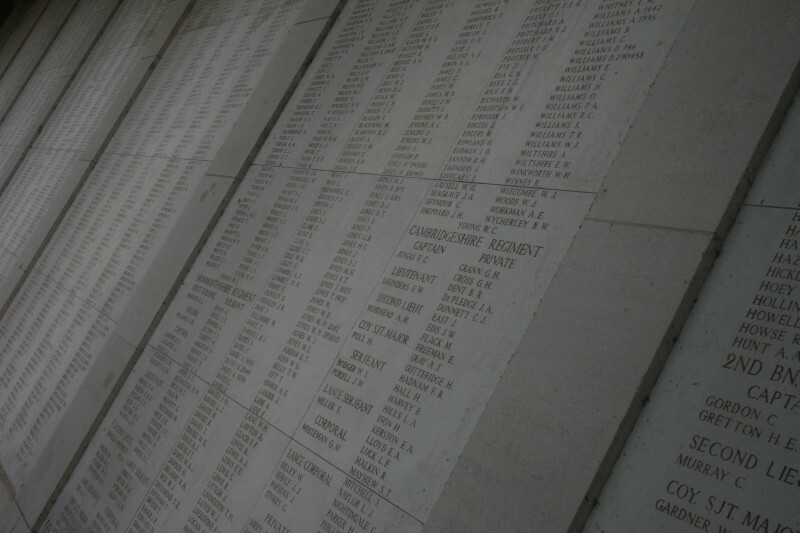 The next 35,000 English names are at Tyne Cot cemetery, and so are all the New Zealanders. And remember, that's not the dead. That's just those of the dead whose bodies were never even found.